Used as an alternative replacement part because the original machine is not available on the old machine. There is no problem at all in firm construction, and there is also no dropout due to vibration in combination with a thread locker. This review is about item#05518247. This review is about item#5518231. After all stainless steel is good. I can keep it clean. This review is about item#5518667. Depending on the price. I also want some discounts on bulk purchases. This review is about item#23434443. 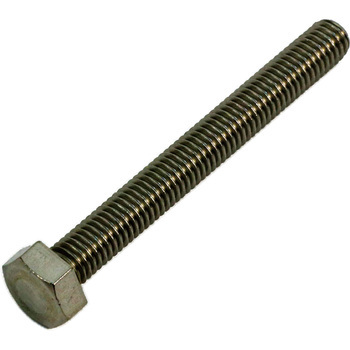 The strength was weak with the iron screw and it was useless, but the jig was completed using this stainless steel bolt. After all stainless steel is strong. I'm satisfied. This review is about item#34980181. It is a product of Osaka Soul, but there was no difference from the product that was generally purchased. I would like to use it again. This review is about item#05518292. Used in combination with simultaneously ordered nuts, naturally engaging with screws is no problem. This review is about item#38951823. Cheaper than a nearby store, there was no problem. This review is about item#7612044. I chose it thinking well without being too long or too short. It is also helpful to choose just the right length. This review is about item#5518335. Good compatibility with nuts, smooth tightening is satisfactory. This review is about item#5518791.